← See You at the Annual Conference! The Assessment Interest Group is looking forward to the annual ALAO conference in November. Our sponsored session, “One Shot at Success? Assessing the Effectiveness of Single Session Instruction on Student Attainment of Information Literacy Skills” (Thomas Hyland, Lakeland Community College), will consider the impact of librarian instruction in an English composition class. We hope to see you at this session! This session fits in with our focus on instructional assessment this year. We have already begun discussing the 2016 Spring Workshop, in which the Assessment Interest Group will partner with the Instruction Interest Group to focus on instructional assessment. Watch for more details over the next few months! The Instruction Interest Group is excited to announce a collaboration with the Assessment Interest Group for the Spring 2016 workshop. IIG and AIG will be hosting a joint workshop focused on assessment of library instruction. More information on the workshop will be available at the annual conference in November. IIG continues to add to quality content to the IIG Blog at https://alaoinstructionig.wordpress.com/ . This semester you can look forward to entries from librarians at Denison, Otterbein, and Ohio University-Lancaster. The committee is always looking for new and interesting blog entries on the topics listed below. Thank you to Sara Klink whose term as co-chair ended in July and a hearty welcome to Dana Knott, Library Coordinator, from Columbus State Community College Delaware Campus, who joined IIG as this year’s new co-chair! Having attended ALAO’s Annual Conference and numerous other conferences geared toward librarians, it was a valuable learning experience to participate in a conference focused specifically on library support staff. Because my role at the Miami University Libraries is that of a paraprofessional, OLSSI offered discussion and training that was immediately relevant to my day-to-day work. Though courses on a variety of subjects were offered, my scholarship guaranteed enrollment in the four available H. W. Wilson Award classes: “Keys for Becoming an Effective Supervisor,” “It’s the Law, Even in the Library,” “Building User-Centered, Flexible Teams,” and “Collaborate for Success.” These courses were taught, respectively, by Luren Dickinson, Director of Shaker Heights Public Library, and Cathi Cardwell, Director of Ohio Wesleyan University Library. Dickinson’s classes were packed with information that I will continue to study, especially the content on laws pertaining to the library. Bringing his 40 years in libraries to the table, I particularly enjoyed his ability to speak from experience to staff aspiring to supervisory status. Cardwell’s courses were peppered with audience-speaker interaction and group activities. My takeaways from her courses? The key to flexible teams is employees who are creative, communicative, collaborative and critical thinkers. Reflect and be flexible! Kristen is attending Kent State University with an academic focus in Children’s Librarianship, and is currently employed part-time at the Euclid Public Library as a Children’s Associate. She has demonstrated leadership through the pursuit of grant opportunities, including developing and implementing in a pre-teen literacy program. Her interests in diversity include sharing selection suggestions (videos and books) with the librarian that focus on issues related to under-represented groups. She has spearheaded an outreach program directed at children with autism, and offers suggestions for working with teens and helping transition children into the libraries’ teen programs. Kristen’s background in puppetry provides opportunities to offer diverse approaches to children’s programming efforts. work in the Children’s Department at Euclid Public Library, but look forward to learning more about academic libraries and investigating how my passions relate to them as well. and deadlines for this year’s program on our ALAO RPC web page, Facebook and Twitter, and on the ALAO listservs! We reached out to the 2014 RPC award winners for an update about their research projects and how they used the award funds. All three winners made great use of the funding. We will be sharing their stories in this and upcoming issues. The Ohio State University Libraries In 2014, I was awarded $497 by ALAO for my research project titled, “The cataloging of sound recordings in the United States: a chronological account.” These funds went toward travel expenses (gas, food, hotel) and materials costs (photocopies, batteries for digital camera) associated with a week-long visit to the Music Library Association (MLA) archives at the University of Maryland. The visit occurred in June 2014. I took digital pictures of more than 1000 pages of documentation and also had more than 600 photocopies made of documents that I couldn’t get good resolution on with my camera. This paper was intended to be, and is, historical and descriptive. Sources include primary documents such as correspondence, published and unpublished reports, memos, draft standards, as well as finalized published standards, and secondary sources, including monographs and articles about the standards and their application. The paper is primarily a chronological account, but incorporates elements of bibliographic essay. It chronicles how sound recordings have been cataloged and made accessible since libraries began collecting them in the 1910s. I engaged with this topic because there is no published account that pulls together the development of cataloging standards for sound recordings from those standards’ beginnings in the 1930s. evolving the standards that we use today. Some of the controversies that existed then still exist today. It took the remainder of 2014 and through most of February 2015 to pull together all the materials that I had gathered and to finish what turned out to be a gigantic project. In the end, in late February 2015, I submitted a long article to Notes of the Music Library Association, a peer-reviewed journal, with the final title, “The cataloging of music sound recordings in the United States: an evolution of practice and standards.” It was accepted in June 2015, on condition of making some revisions, which I made, and it should be published in the Fall 2015 issue of Notes. This entry was posted in Vol. 33 no. 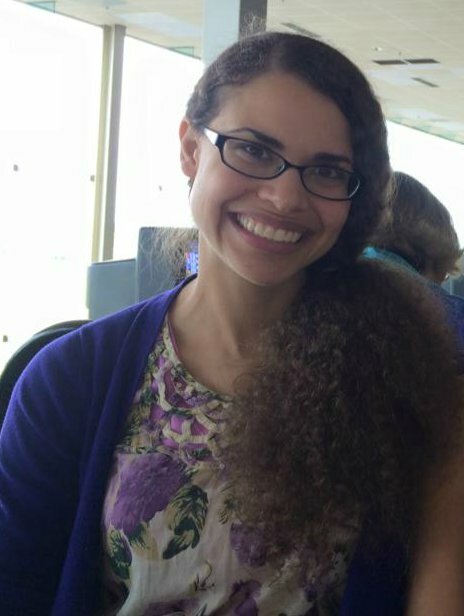 3 (Sep. 2015) and tagged Diversity Scholarship Winner, Interest Group/Committee News. Bookmark the permalink.